This college is average in terms of placement and faculties.I want to include that thier is average culture for studies because thier are lot of localite and they are not studious.Something is very important to mention that you will study at mathura a great place to live. College is always good and it is made by the bricks called student. Also the management plays a key role. In this college management should use their money on books library and equipment and other study tools. But they are making more and more buildings. Their mind of doing business should be removed. College management needs to work on the placement are for the betterment of the college. So that students can get better job opportiunitus from college itself. BSA College of Engineering and Technology (BSACET) is a private engineering college located in Mathura district of Uttar Pradesh. It was established by Shri Agrawal Shiksha Mandal in 1997. The college is affiliated to Uttar Pradesh Technical University (UPTU) Lucknow and recognized by AICTE, New Delhi. College offers eight branches in Bachelor of technology, M. Tech in four streams, MBA in five specialization and MCA program. The institute is ISO 9001:2000 certified and an institutional member of the Indian Society for Technical Education (ISTE), New Delhi. Eligibility Criteria for the admission to B. Tech courses is 10+2 with Physics, Mathematics, and Chemistry/Biotechnology/Biology/Technical Vocational subject with min 45% marks for Gen & OBC and 40% marks for SC/ST categories. Library: College library has more than 50000 books for engineering students. Library is also equipped with audio-visual aids, journals, periodicals, conference proceedings, magazines & newspapers etc. Computer lab- BSACET has more than 400 high performance UNIX/LINUX and windows based workstations and 5 high performance server and Department network communications include a strong Ethernet, offering connectivity to the Internet through 1 MBPS. Hostels- BSACET provides standard quality hostels separately for boys and girls. 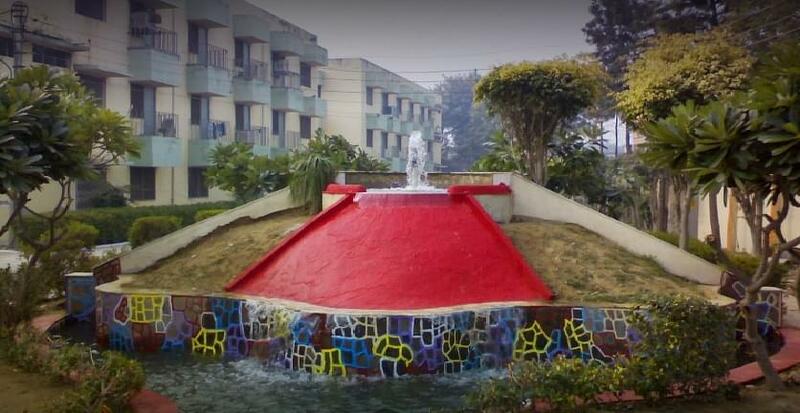 There are two boys’ hostels with capacity of 164 and one girls’ hostel with capacity of 82 students. Scholarship: BSACET provides eligible students scholarships as per the UP Govt. rules. I appeared nearly all the exams but i was not qualified.Also i have very low marks in maths. i was distressed that i will not get any engineering college.But then BSACET became my hope and i got direct admission here. No entrance examination my admission completed through management. I opt this college is near my house and fee is less than othen college of mathura. "One of the oldest college among most of UPTU colleges"
After completing 12 boards. I had written UPSEE exam, which is held by the UPTU, Lucknow. My ranking was not good in this examination, hence after counselling, i have been allotted BSA Engineering college Mathura.